Benefits of the HXT blade are sharper and longer lasting cutting edges. More resistance to bending. By the way they are made in the USA! XHT BLADES. Fits several SIMPLICITY models. If you order them and they don't fit it is not our fault! 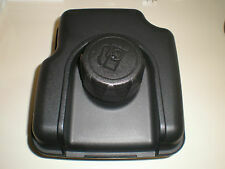 OEM Briggs fuel tank 799863. Need other Briggs parts?. if your tank has 3 mounting holes. OEM part on many PRESSUREWASHERS, SNOWBLOWERS, TILLERS. Simplicity: 171252, 171252SM, 2171252, 2171252SM. Simplicity 2171252. 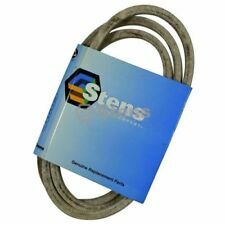 Stens 125-153 Fuel Cap For Lawn Tractors Mowers. Stens Fuel Cap. With gauge. Ethanol: Not compatible with greater than 10% ethanol fuel. Used Johnson Electric Automotive starter from a Kohler Courage 18 engine. Will work for other applications 18 19 20 21 hp Courage single cylinder engines. Nice Shape and ready too use. Check out all My pictures. Fuel Gas Cap with Gauge / Toro 106945 / Simplicity 1704366. TORO: 10-6945. GAUGE FUEL WHEEL HORSE - 8". 178280, 178280SM, 35100 772 003, 6109 004 1033, 61090041033. 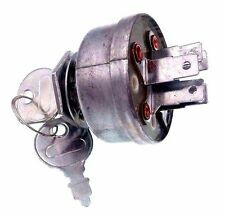 Lawn Mower Ignition Starter Switch w/keys Replaces. Includes 2 Keys. 1716854, 1716854SM. 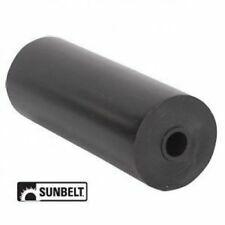 Replaces SIMPLICITY Models This provides you with a strong belt that has excellent wear resistance proven through thousands of hours of testing. Statistics show that one (1) in ten (10) belts are ordered incorrectly. This is a New OEM Genuine Simplicity / Ferris / Snapper Fuel Gauge. Part number 5022917. NOTE: this wheel is designed to use 7/16 x 20 Lug Studs ! BOLT CIRCLE:5/4.5STUD HOLE SIZE:12 mm. FINISH:Silver / Grey Paint. NOTE: this wheel WILL NOT work if you have 1/2 x 20 Studs ! WHEEL SIZE:12x8.5. 1726453BZ, 1726357. 1708229, 1726453A. RIDING MOWER. UNDER THE SEAT OF YOUR MOWER. MODELS 14 - 16 GT. THIS NUMBER MAY BE ON THE. MAKE/MODEL NUMBER SO. THATWE CAN MAKE SURE THAT YOU. New Genuine Simplicity Powder Orange 12 oz. We want you to be 100% happy with your order. NOTE: this wheel is designed to use 7/16 x 20 Lug Studs ! NOTE: this wheel WILL NOT work if you have 1/2 x 20 Studs ! BOLT CIRCLE:5/4.5STUD HOLE SIZE:12 mm. WHEEL SIZE:12x8.5. This itemis not intended for use in automotive Passenger Car or Light Truck applications. Simplicity: 1668513, 1668513SM. Simplicity: 700 series, 3100, 4200, 5116, 5200, 5216, 6500, FC, FCH, GTH, LT, 5200, 6200, 6500, FCH and GTH 36", 42", 44" and 48" decks. Why buy from EPR Distribution?. Up for sale is a Simplicity Pulley. 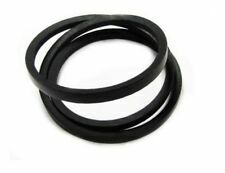 Brand New Genuine Simplicity Belt… · Belt · Genuine Simplicity Part # 1721393SM · Supercedes/Replaces Old Part # 1721393 · Fits Specific Simplicity Models · Genuine OEM Simplicity Part. Ignition Switch Fits MTD 725-1396 925-1396 9251396A Husqvarna 101770 Simplicity. MTD: 725-1396, 925-1396, 9251396A. Allis Cha 1686734 OHV Vanguard Engines. Simplicity /Allis Cha : 1686734. Husqvarna : 101770. John Deere Green Paint Ag & Turf in a spray can 12 oz. Ag & Turf John Deere Green Paint in 12 oz Paint Cans. Simplicity: 1719168, 1719168YP. Oregon 83-010 Filter says oil filter because it is a oil product going into in. 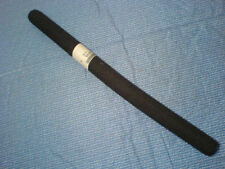 It is a hydraulic filter. Micron: 10. Height: 3 1/2". Simplicity: 1668513, 1668513SM. Simplicity: 700 series, 3100, 4200, 5116, 5200, 5216, 6500, FC, FCH, GTH, LT, 5200, 6200, 6500, FCH and GTH 36", 42", 44" and 48" decks. 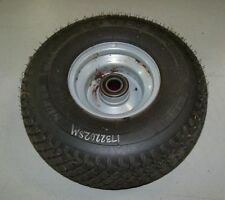 Wheel Size: 2 1/2 Hub: 4" centered Bore: 5/8" Tread: Smooth. Part Number 2177005SM replaces 108142. Briggs & Stratton - Simplicity - Snapper Pulley. These blades fit a 50" 3 blade deck. This is a 13oz can of New OEM Genuine Simplicity Deep Orange Spray Paint, part number 1685611SM, replacing part number 103028. 2108202SM 218202SM. These bearing have 1 extra ball inside. Office hours are M-F 9:00-4:00. This part can replace. This is a starter from a Simplicity 7119 with Kohler KT19 engine that had rod failure. Bench tested good. I will randomly choose them for each set. PART 1727773SM. OEM SIMPLICITY, SNAPPER BELT. SIMPLICITY/ALLIS CHA: 1704100 ,1704100AS ,1704100SM ,1716696A ,1716696ASM ,1727774A ,1727774BMA ,1727774SM. Need help with this item?. Fits Models. WINDSOR: 50-4676. 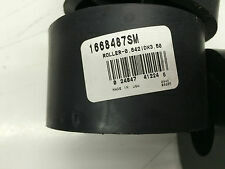 Part number 1715435SM, replacing part number 1666786. No personal checks or accepted. Simplicity: 171252, 171252SM, 2171252, 2171252SM. Simplicity 2171252. Stens Fuel Cap. With gauge. Ethanol: Not compatible with greater than 10% ethanol fuel. For 7 7/8" tank depth. Oregon Mulching Blade for Simplicity 44" Cut 3 Blades. It is essential that the Mower Manufacturer’s Installation Guidelines are followed exactly when installing blades. It is essential that you ensure that these blades are the correct blades for your mower. Includes 8 Original Simplicity Deck Rollers with every order. Simplicity / Snapper. 1334 - Pacer Series w/ 34" Deck. 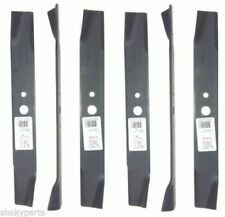 1682685 - 44" Mower Deck. 1600150 - Scamp, 5HP Gear. 1600273 - Scamp, 5HP Gear. 1600357 - Scamp, 8HP Gear. REPLACES OEM 1656143. RIDING MOWERS. SIMPLICITY /. RECEIVE 3 BLADES --. LEFT HAND CUT. CENTER HOLE: 3/4". FOR 48" DECKS --. Premium Quality Belt. These Belts Are NOT OEM Belts. The OEM Number Is Just For Your Help In looking For The Belt You Need! We cannot accept belts that show any sign of use or installation. Belts must be clean. Will this fit every Simplicity mower ever made?. MADE BY OEM SUPPLIER. For 8" Tank depth. (8" from top of filler neck to bottom of tank). de © AP6.0. HUSQVARNA: 532 12 59-07 or 5321259-07X. This is the classic style V BelT. This belt is a HIGH QUALITY belt that will last you for hours and hours of wear under normal conditions. We can't lose money because you ordered the wrong belt. Simplicity Broadmoor Lawn Mower Tractor Set Of Rear Turf Tires/Rims 22X9.50-12! Simplicity Lawn Mower Coupler Conversion Kit Dealer Stock Number 2103052! 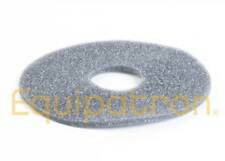 Simplicity Lawn Mower Tufftorq K61 Trans Filter Dealer Stock Number 1718232!